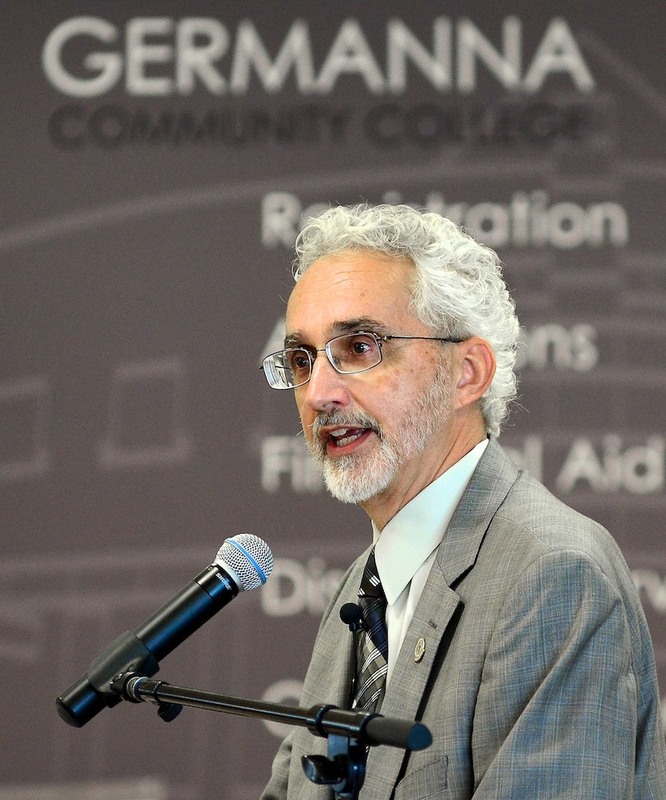 Germanna Community College President David A. Sam has been nominated for The Pushcart Prize. A number of nominees will be selected for publication in the annual collection titled, "The Pushcart Prize: Best of the Small Presses," and one will be chosen for the prize. Sam was nominated for his poem, “Taconic Orogeny,” published this fall in the Vine Leaves Literary Journal. Previous winners of the award, first given in 1976, include Joyce Carol Oates at an early stage in her writing career. “I am pleased and honored that the editors thought highly of my poem,” Sam said. Sam, the author of "Memories in Clay, Dreams of Wolves," a semi-autobiographical 2014 book of poems, was born and spent his early childhood in McKeesport, Pa., a coal and steel suburb of Pittsburgh. Later, his family relocated with his father’s factory to Belleville, Mich., a Detroit exurb. Much of his childhood was passed exploring railroad tracks, woods, lakes, and rural farm fields, and they were the source of much imagery in his poetry. He's a grandchild of immigrants and a first-generation college student. Profits from sales of "Memories in Clay, Dreams of Wolves" go to the Germanna Educational Foundation. Sam is a graduate of Eastern Michigan University and Michigan State University. 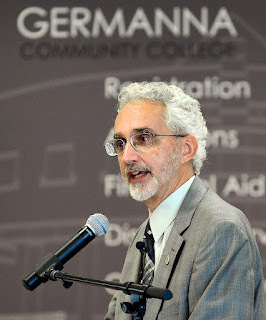 He has taught creative writing, English literature, and composition at EMU, Marygrove College, Oakland Community College, and Pensacola State College. Sam has written poetry for 40 years and has two published collections, the other being "Dark Land, White Light," published in 1971. He's also been published in Carbon Culture Review, The Crucible, The Flagler Review, The Write Place at the Write Time, The Summerset Review, The Birds We Pile Loosely, and Literature Today. Sam lives in Culpeper with his wife, Linda. The Pushcart Prize has been a labor of love and independent spirits since its founding. It is one of the last surviving literary co-ops from the 60's and 70's. Happy 240th birthday, Marine Corps!